MELBOURNE, AUSTRALIA—Smiling in defeat, Thornhill native Milos Raonic absorbed the atmosphere as he left the court at the Australian Open, the site of his coming-out party this past week. “It was a feeling of knowing there’s better things to come,” Raonic told the Star after losing 4-6, 6-2, 6-3, 6-4 to seventh-seeded David Ferrer in the round of 16 on Monday afternoon. 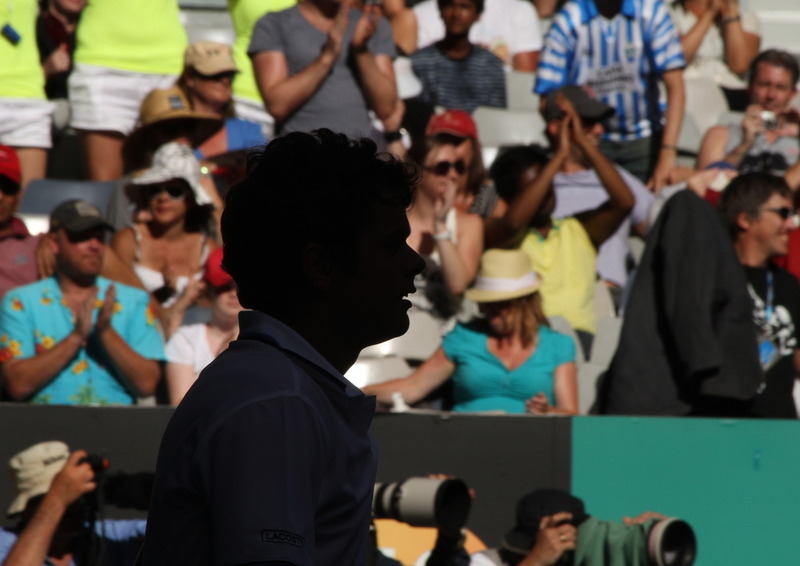 He had won six straight matches, including three qualifiers and two over top-ranked players. 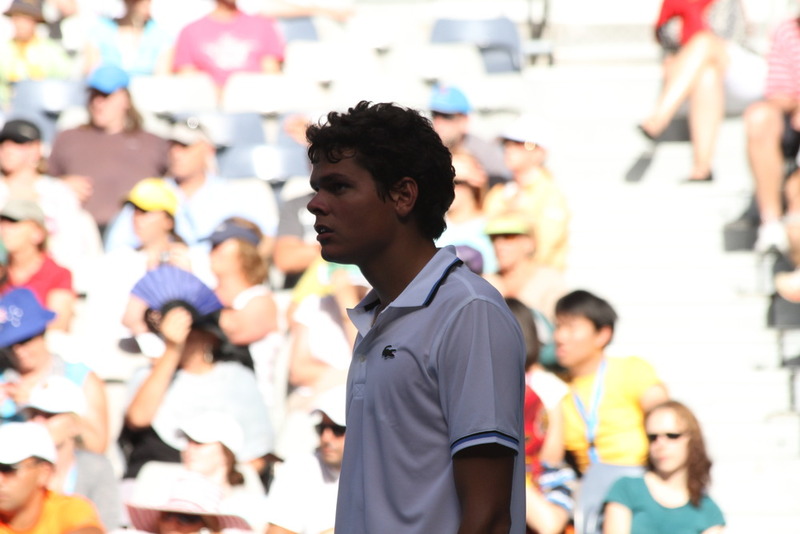 Raonic, who just turned 20, knows it was the type of defeat young players must endure. Calls seemed to go against him at key junctures. His legs got tired, he later admitted, and so did his arm. 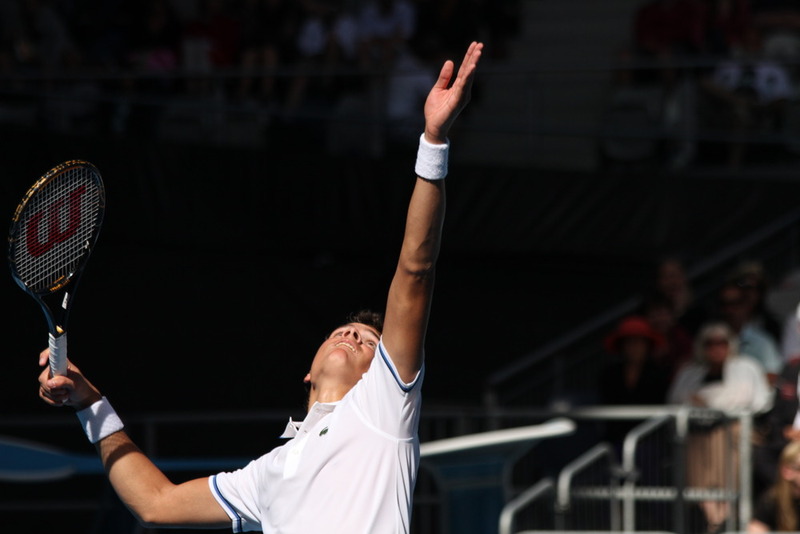 Serves that blew past previous opponents came back and Raonic lost focus, missing follow-up shots long or into the net, on his way to 68 unforced errors and only 15 aces, less than half his total in beating 10th-ranked Mikhail Youzhny on Saturday. 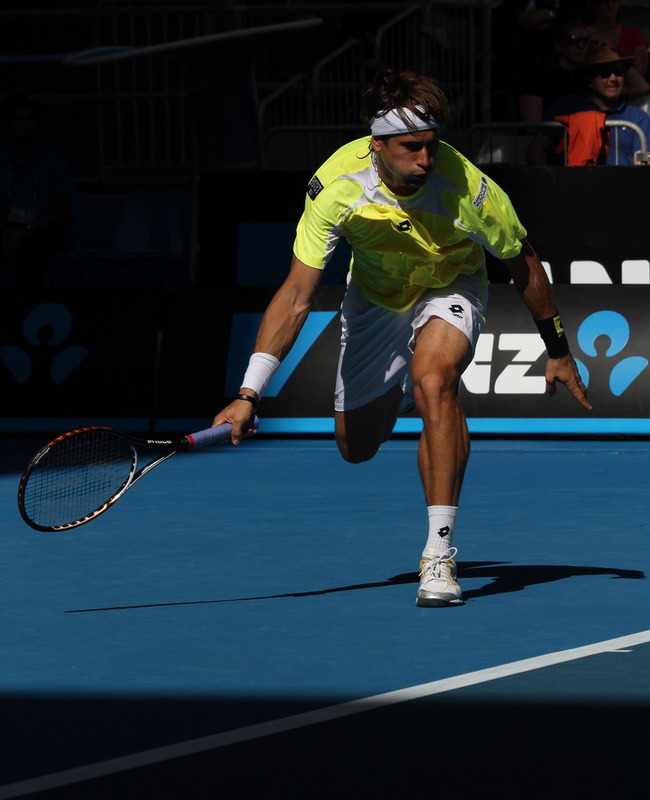 Gyrating around the court like a Tasmanian devil, the feisty Ferrer showed why he’s No. 7 and a regular quarter-finalist at majors. The Spaniard was simply too good, and his drop volley to set up match point was a thing of beauty, making a left turn on impact. Ferrer gave almost nothing away, forcing the 6-foot-5 Raonic into a running contest he couldn’t win, even though Raonic did keep up with the clay-court specialist on long rallies. 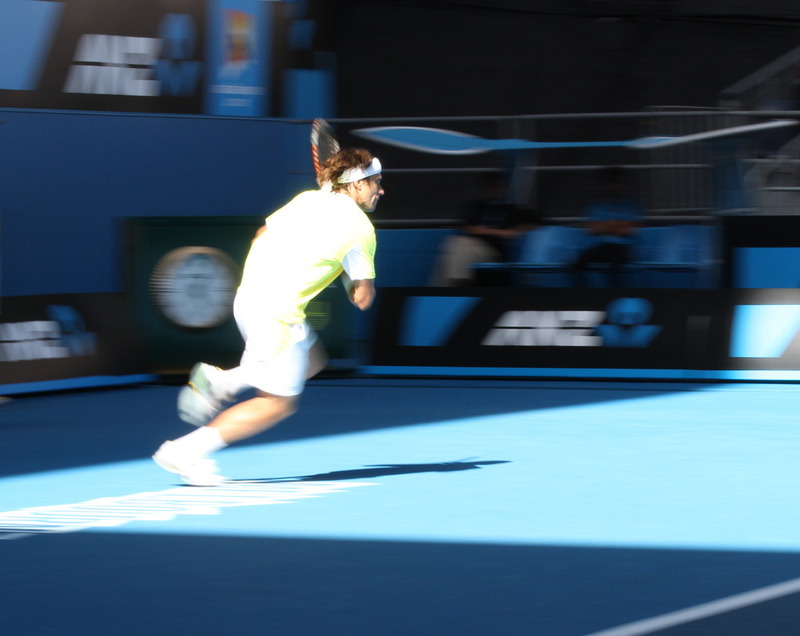 Ferrer’s dipping passing shots forced Raonic to bend deep and play awkward volleys off his toes. 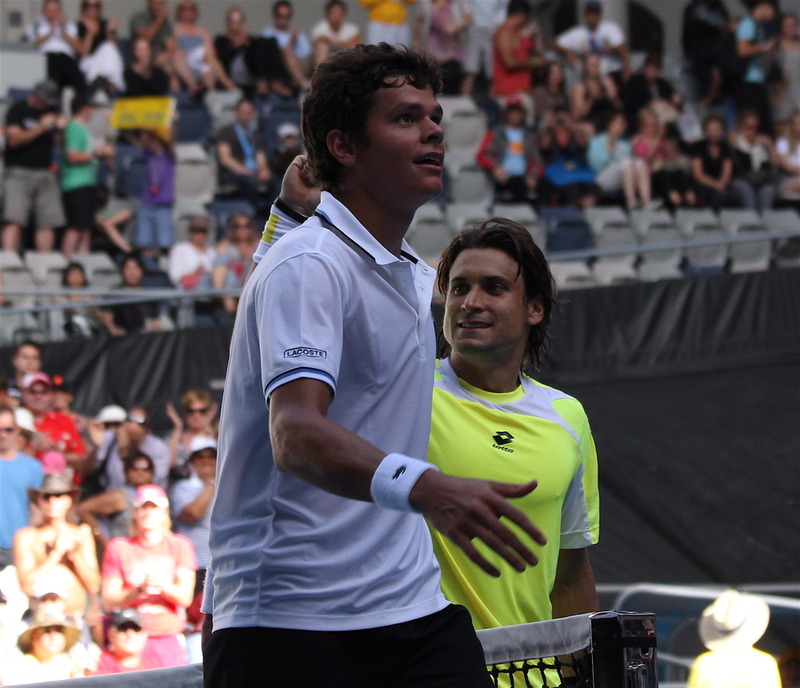 Ferrer even lobbed with ease over the unsuspecting Canadian, and returned Raonic’s boomers with some of his own. 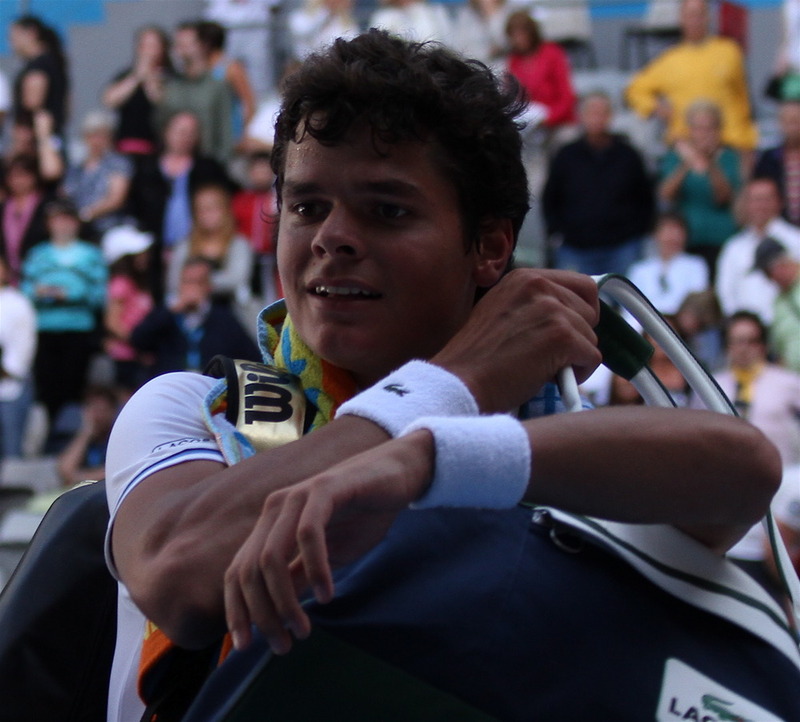 Even in a losing effort against a popular opponent, Raonic won the crowd, especially when he fought back in the final set. Australians adopted the Serbian-born player as one of their own, with one female fan calling out, “Come on, Big Bird.” Canadians came out of the woodwork in Melbourne as well, painting their faces with the Maple Leaf and sparking hockey arena chants. It was the way he lost that won the hearts of long-suffering Canadian tennis fans. 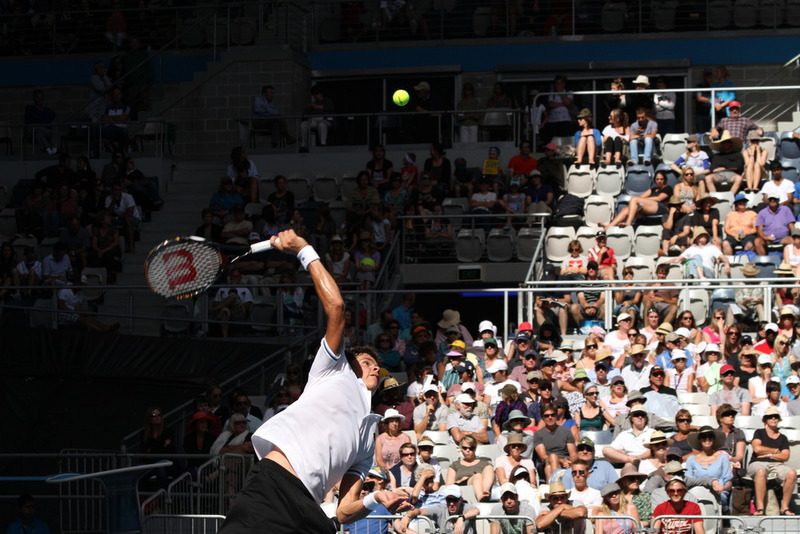 Raonic stayed brave and aggressive, trying to impose his power game on a veteran counterpuncher. Down 2-4 in the final set, he didn’t challenge questionable calls, as part of his effort to stay positive on court. 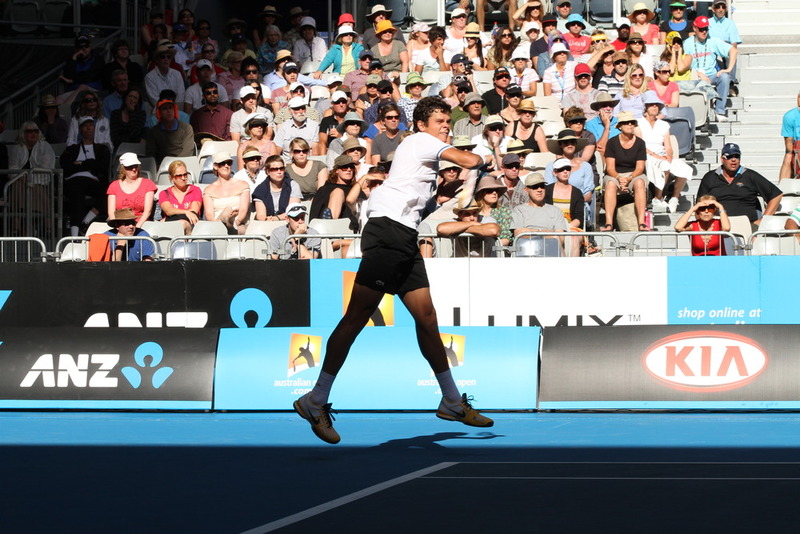 He bounced back from a shaky double fault at deuce and nailed a difficult smash from deep behind the baseline. After flubbing another volley, he hung tough and won a hard-fought game to inch back to 3-4. Down 4-5, with shadows creeping across the court on a cold Antipodean afternoon, Raonic could have hung his head and argued with the umpire over a number of calls. Instead, he took his position, bouncing on his toes in a twisting dance. Tasting blood, the Spaniard went for the kill and finished him off quickly. Shaking hands at the net, Ferrer patted Raonic — who recently moved to Barcelona to train under Spanish coach Galo Blanco — on the back. “He told me good luck in the next round, and I told him good luck for the future,” said Ferrer, adding that Raonic just needs “more experience” to improve his game. Raonic said he wouldn’t be hanging around to watch the final rounds in Melbourne. He’s preparing for other tournaments and looking forward to qualifying for Wimbledon, where the fast grass surface will suit his big serve. He said he has to improve “little things” such as his upper body strength and baseline game. “The biggest thing is that I’m not that far away from this level,” he said. “So this is a great motivational thing, the work paying off. The next step is what I need to do to be there with these guys on a week-to- week basis. I’m going to try to maintain this level.